When a book is in development, a sample is made so the designers can get a feel for the book. Some have writing and some are printed covers with the inside blank. And there was a giveaway (now closed) at the Craftside blog and I won one of them. How cool is that. I was so excited when I received this huge package in the mail yesterday, and discovered my Bulking Dummy. I lucked out and got one that was blank. It’s 10″ x 10″ and has hundreds of pages. Did I mention huge? 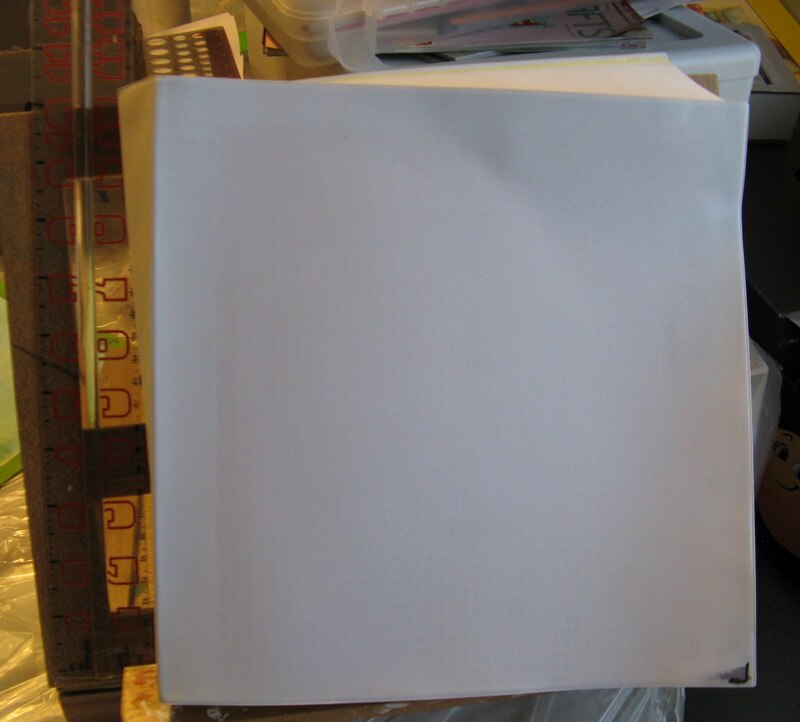 The cover is a blank white vinyl-like substance. I marked a small corner with a Faber-Castell Big Brush to see if I’ll be able to color on it. It smeared, but I think it may set after a while. There are some challenges to coloring this journal. The paper has a super-smooth high-gloss surface, and all my Micron, Copic & Letraset fine-liners smear even after several hours. The paper is so thick & slick that it doesn’t bleed-thru! My Letraset Promarkers do much better, but the color actually beads and runs, somewhat like watercolor, at the end of each stroke. The color dries in a few moments, but if I color over it smears again, so I will have to color one layer, and let it set for quite a while. 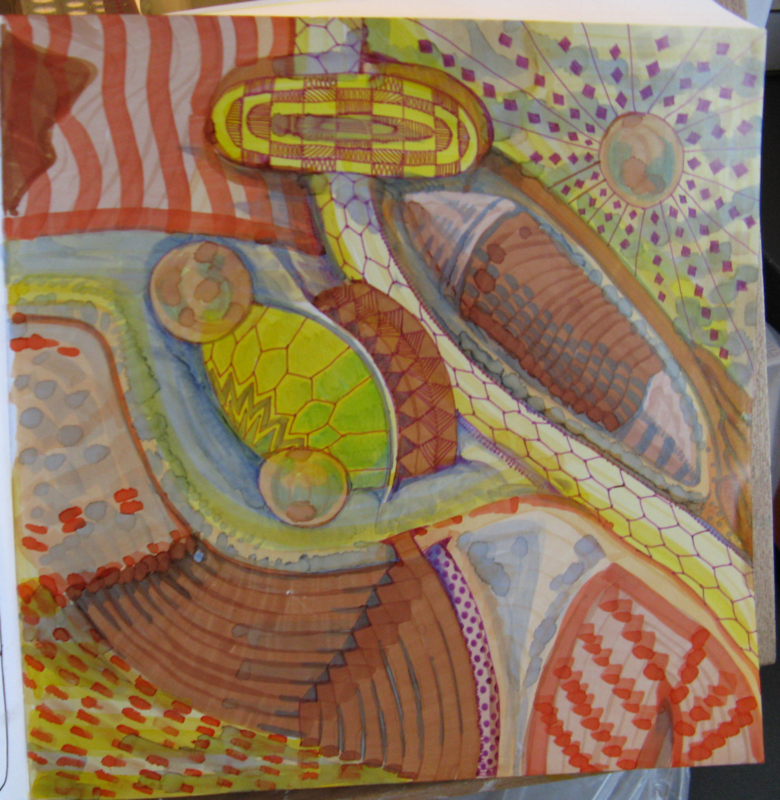 The color is somewhat diluted, so it’s fortunate that the Promarkers have such brilliant color. The completed pages look fantastic! Unfortunately, the pages are too big too scan in, so I have to photograph them. The book is so big and heavy, and doesn’t lay completely flat, so I can’t totally eliminate the curves. But still–this bulking dummy was obviously meant to be some kind of coffee table or reference material and it’s a high-quality make. If I complete this book it is going to be AWESOME! If you like giveaways check out the Craftside blog. I don’t post their giveaways too often, since I focus mostly on craft and art-related items but they have all sorts of interesting stuff to give away. You never know what they’ll offer next. Love what you've done! I got a bulking dummy, too – fortunately not as large as yours. 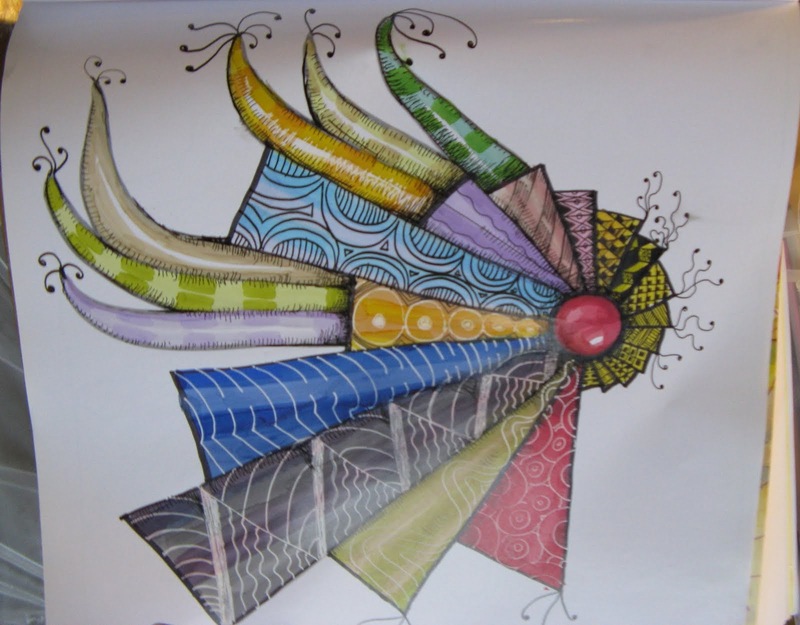 I plan on using for zentangle – so cool! Congrats! What was your bulking dummy like?